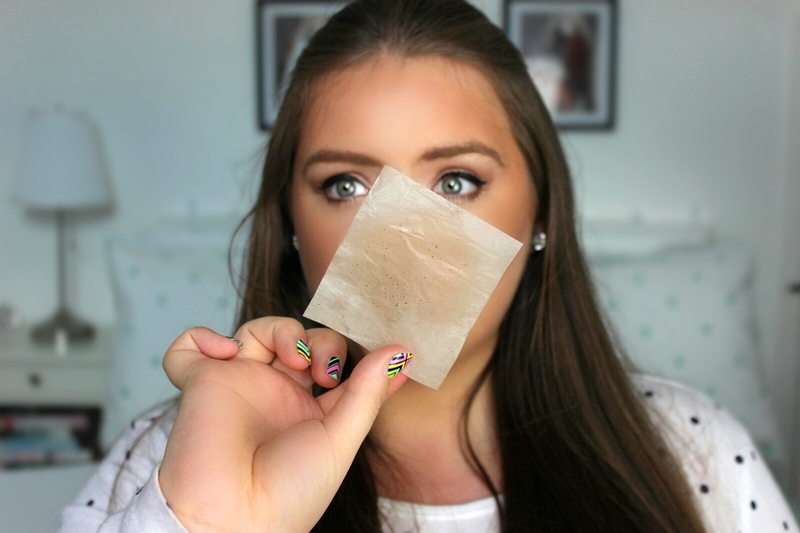 This is the first time I've tried any sort of blotting sheets for removing the build up of oil on my face so I was quite intrigued to see what they do! 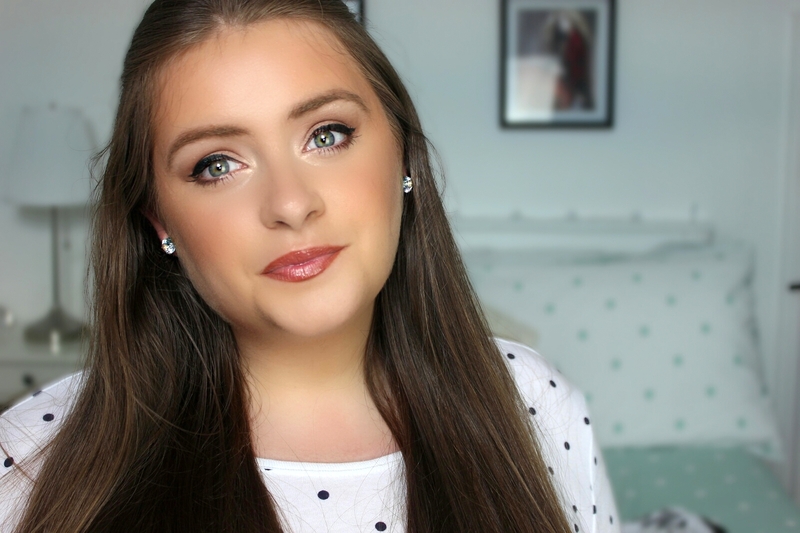 In these photos I'm wearing a BB cream (which I'm in love with...more soon!) and as you know BB's are a lot more oil-y and glow-y on the skin than an ordinary foundation. With this BB cream I want my face to look youthful and glowing but throughout the day I do see a little extra oil build up than normal. So, I thought whilst wearing this BB cream I would put it to the test and see if they can control the oil build up but still leave me somewhat glow-y (if this makes sense, hehe). 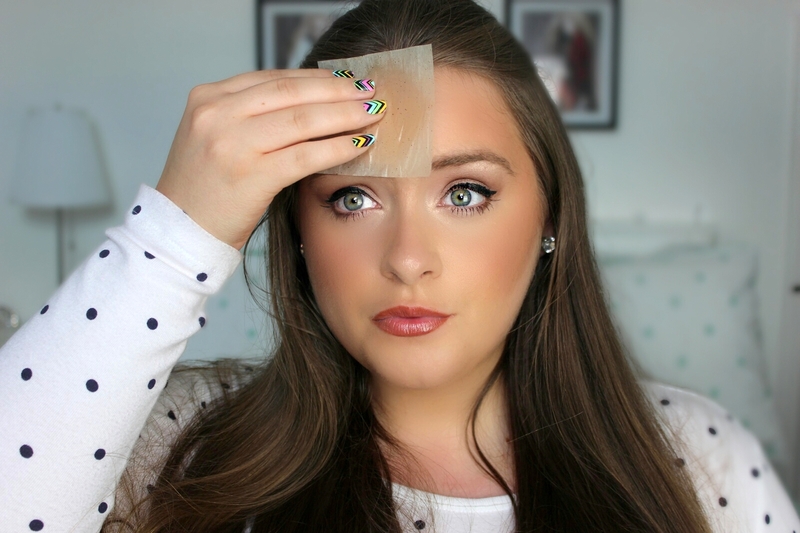 The blotting sheets I used are by Beauty Made Easy to minimise shine, pores and mattify the skin. What I really love about these sheets are that they have green tea extracts on them (I love the many benefits that green tea gives to the body and skin) it makes them more unique and appealing than other sheets. Anyway, I blotted over my most oil-y area which is my T-zone and in photo number 5 (gosh I haven't numbered them, oops!) you can see the oil that the sheet has absorbed. 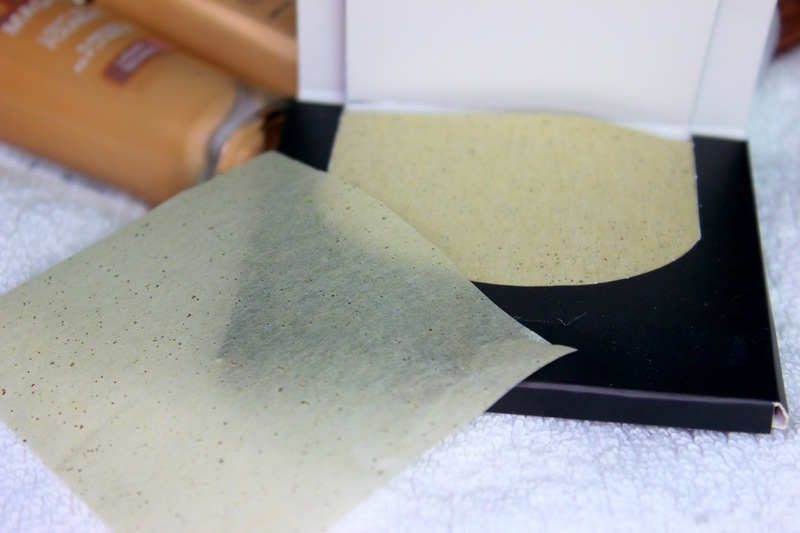 I was pleasantly surprised that the sheet didn't remove any of the BB cream, just purely the oil. 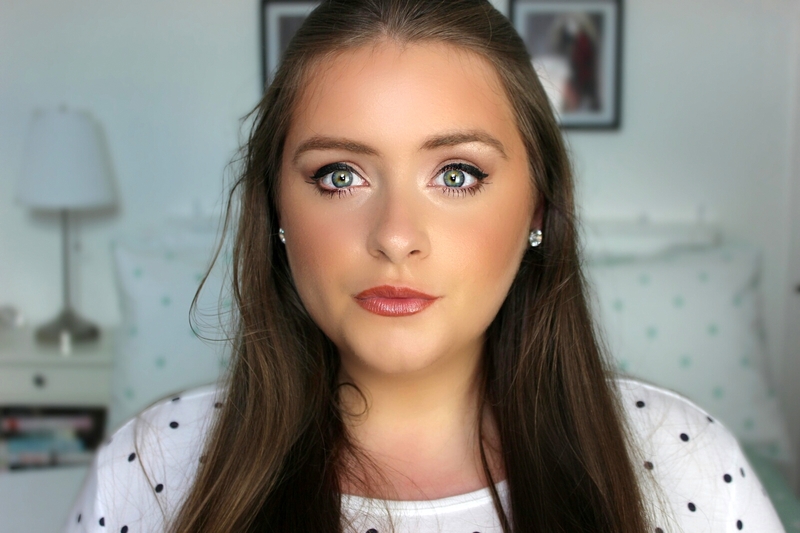 I didn't want to be left completely 'matte' so I was pleased that I still had the BB glow to my face but less oil-y. 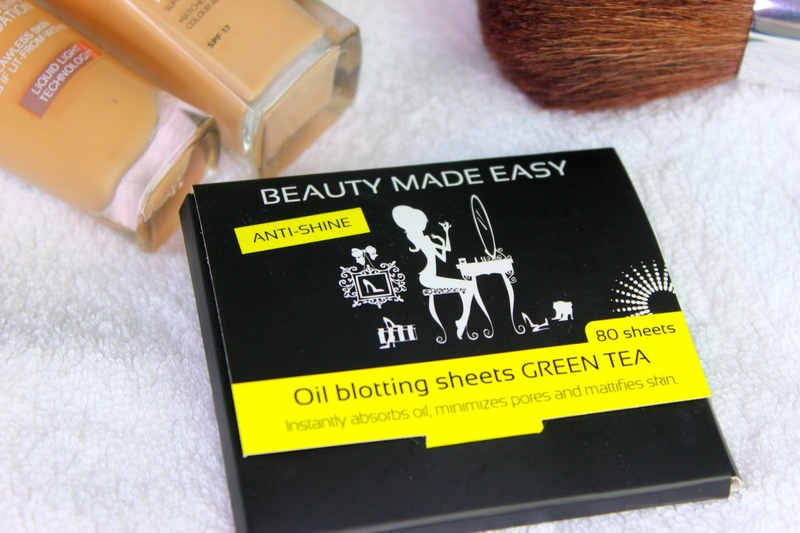 There is something quite refreshing about these blotting sheets, I don't know what it is exactly but I'm guessing it's the green tea extracts. To sum up - After using 1 sheet on my face it felt cleaner and refreshed even after 4 hours of wearing the BB cream. 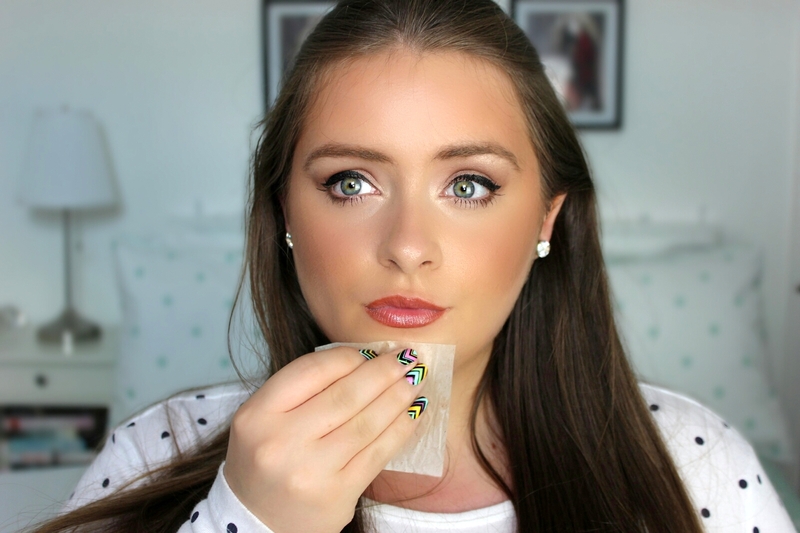 I still had that little glow to my skin but not in an oil-y way which I was very pleased with. I can already see these becoming a handbag/purse essential. 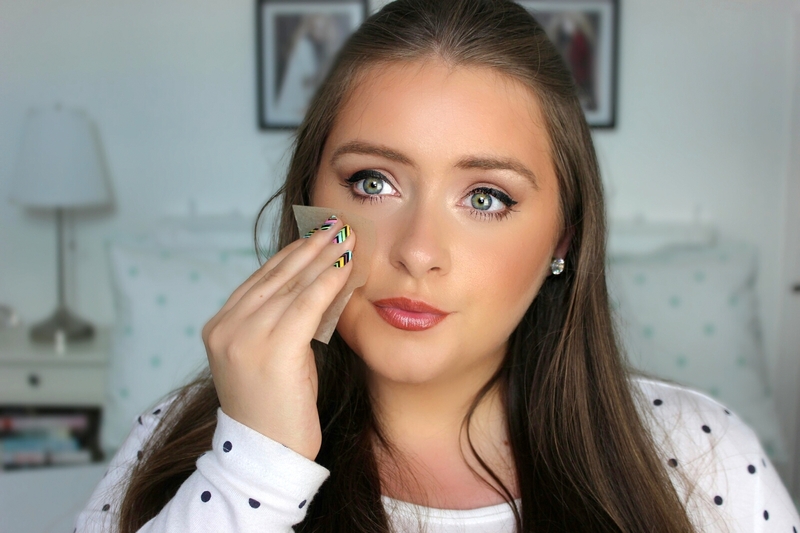 Have you tried Beauty Made Easy blotting sheets or any sort of blotting sheets before and what did you think of them?